In Russia, many citizens of Moscow and St. Petersburg have a summer cottage to escape from the smog and heat of the city. The cottages are lovely little things, made of pine or cedar. They stay cool without A/C in 95-degree heat, and when you step inside you are greeted by the smell of pinesap. In America, wooden houses are more the exception than the rule—which makes the all-wooden Tumbleweed Houses extra extra special. If you’ve ever dreamt of living in a tiny, eco-friendly house, small enough to hook up to a trailer and move the whole thing over to wherever you live, then Tumbleweed Houses are for you. For aspiring homeowners, the Tumbleweed option gives a lot of bang for your buck—and by saving money on a house, you can instead invest in buying a large piece of land to live on. Home-seekers can choose from four models, but each model offers an astounding amount of customization, and you’ll end up with a house that’s uniquely yours, as well as one that fits your budget. The houses will cost you between $50,000 and $80,000, depending on the customizations and model. 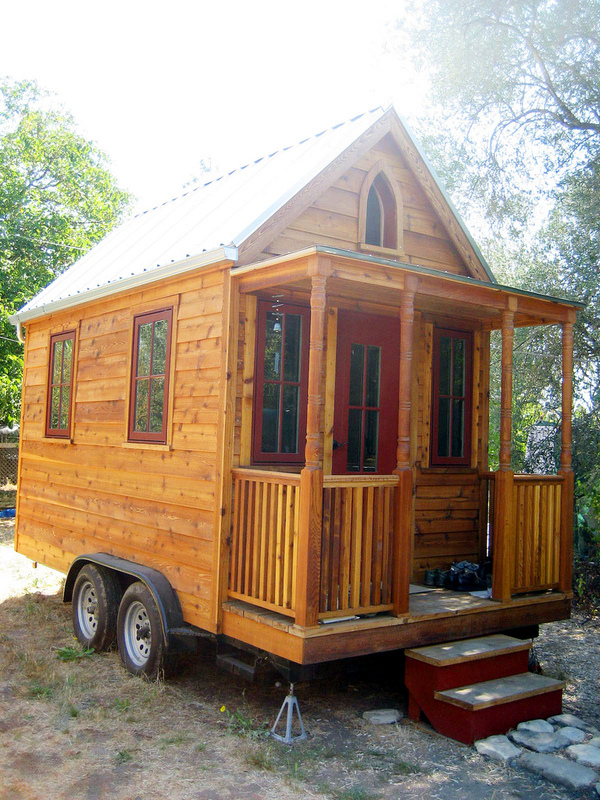 For the eco-friendly (we’ve written about the small carbon footprint of tiny houses before! ), for the traveler, the homesteader, and anyone else who wants a small, easy-to-transport house, this is a wonderful way to have your house and move it too.